Birdie and Russ Holsclaw at the author’s 35th Birthday party. It happens to everyone at some point. Something big. Something that just really knocks you off course. I know it’s happened to me several times. But in genealogical terms, there have been a few times when I just didn’t want to do it anymore, or at least for a while. I’m positive this has happened to almost everyone. You are happily living your life and something happens that just changes your whole attitude. Everything you had in place was somehow changed, your thoughts and plans seemed superfluous and unnecessary. Whatever the “thing” was that changed your outlook, it takes some time to get the wind back in your sails. One major thing that happened to me as far as genealogy life goes, was the death of my mentor Birdie Holsclaw in 2010. I know I’ve mentioned her before in my blog. Sometimes you just meet people who stick with you long after they are gone. Birdie was one of those people. She gave me the confidence and encouragement to move forward with genealogy beyond being a hobbyist. When she died, many of us were devastated. She left us too soon. I know a lot of those feelings are selfish. It was her time. It was the will of God or the Universe or Science… whatever you believe. It was just her time. 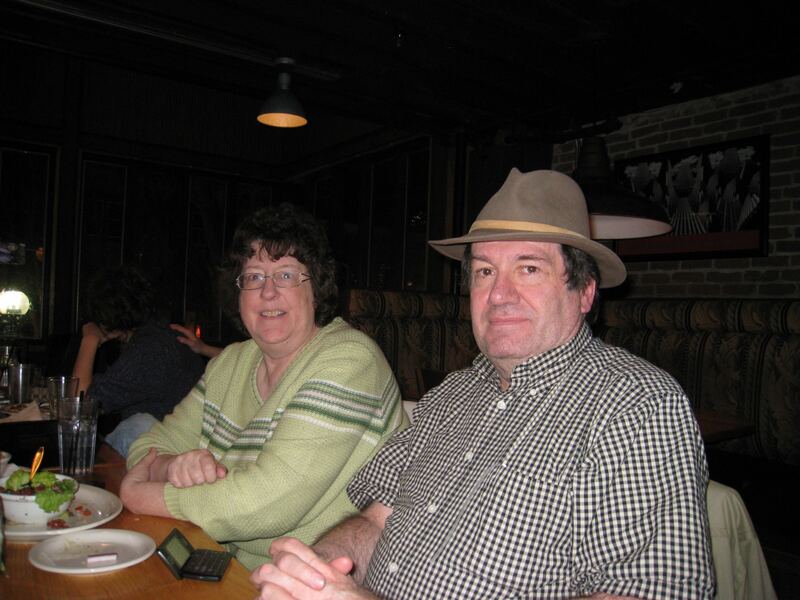 Many of my thoughts about her are really about me and what I miss from her, what I would like to talk to her about, her opinions I want to hear about genealogical topics of the day and I wasn’t done learning from her or enjoying her company. After she died, I really just did not want to do genealogy. The wind was definitely gone from my genealogical sails. It was approximately 3 or 4 months before I got myself back up again. I would look at a unique record I found and think about tell Birdie about it, or get confused on some problem and want to ask for her opinion or guidance, or I would see a new movie and wonder what she would have thought about it (she loved movies). And when the realization that I couldn’t would flood in, well, I would just not want to do the work. This still happens actually, but I’ve moved passed the pain and the not wanting to do it into a place of doing it in her honor. I think of the encouragement that she gave me, the belief she had in me, and think that I need to be doing what I’m doing to be a good steward of her memory, to fulfill what she saw in me. There have been minor things that have happened that steal my thunder. Clients not wanting to do more research, projects falling through, checks lost in the mail, critics, online arguments, seeing colleagues not be nice to each other, hearing complaints over things that are super minor, having to go through a lot of revisions on a small item, general negativity… When too many of these things that happen everyday, sometimes I just turn the computer off and go do something else. It is just too much and it is not worth getting stressed out over. I can usually deal with these small crises better when I’ve had time away. If I want to keep the wind in my sails, I have learned that I have to protect myself from the negative. Few things are as devastating as the loss of a loved-one. Learning skills to deal with these times and “get back on the horse” can be crucial to long-term success. Sometimes, you might just need to do a complete overhaul of your genealogical life. Sometimes you may just need a break. After I turned in my BCG portfolio, I don’t think I did anything genealogical for almost 3 weeks. And that’s ok. The important thing is to take care of yourself and get back in the game. Cari, you know that I feel your pain! She left a huge hole in my life, but oddly enough my reaction was to grow closer to genealogy, right away. Just after I came back from her memorial service, I read an article in our local newspaper by the county historian for my county. He made the outrageous statement that the first white settlement in our county was in 1786. I knew he was wrong and Birdie and I (for I firmly believe she is with me every day) set out to prove just how wrong he was. All that summer she and I read tax records, diaries, account books, land records, Revolutionary War records, etc., etc. We collected information on every settler found in the county before 1790 (including the 1790 census helped prove their locations). All perfectly documented, of course. We always loved to get lost somewhere when we traveled together. For this project we got lost in the 1700s in central New York. It fills 98 pages! It was my therapy. It will always be dedicated to Birdie. We each process grief in our own ways for sure. It felt kind of like a rubber band for me: go away from genealogy until it stretched tight and then snapped me back in! I am happy you found such a worthy project to help you through!